MatkeWali Gali Sadar Bazar is famous for cosmetic item especially for Kajal lipstick nail paint all types of accessories especially in wholesale you can get it in this market matke Wali Gali is opposite to Doli Wali Gali. It’s very famous Street in Sadar Bazar you can ask to any person in Sadar Bazar about the matke Wali Gali most famous Gali is matke Wali Gali you can come here and you can buy all types of cosmetic items in 80% discount from this market. This is the biggest wholesale market in Asia Sadar Bazaar is known as the cheapest market for wholesale in all over the country don’t forget to come here if you want to start your own business in low amount this is the best place you can come here and you can select item. 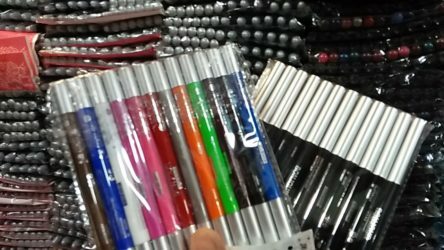 If we talked about cosmetic item like nail paint like Kajal and lipstick all types of cosmetic items you can get it from here even branded items is also available you can buy branded item also or local item also both types of items are available in this market . This is a best and cheapest market you can get the steps of item also in Kinari Bazar but if we compare from Kinari Bazar this is Shippuden other markets to visit matke Wali Gali for this types of item the nearest metro station is same New Delhi Ramakrishna Ashram Marg and tees Hazari depending upon your area and location. You can come here only Sunday is the of day otherwise you can visit here at any day and you can buy in large quantity to start your business this is the best place and cheapest market for Cosmetic.